If you make the mistake in buying shoes that don’t fit, you’ll pay twice—once at the store or online and again with problems like corns, calluses, blisters, and even sprained ankles. Our 10 tips for shoe fitting will help. 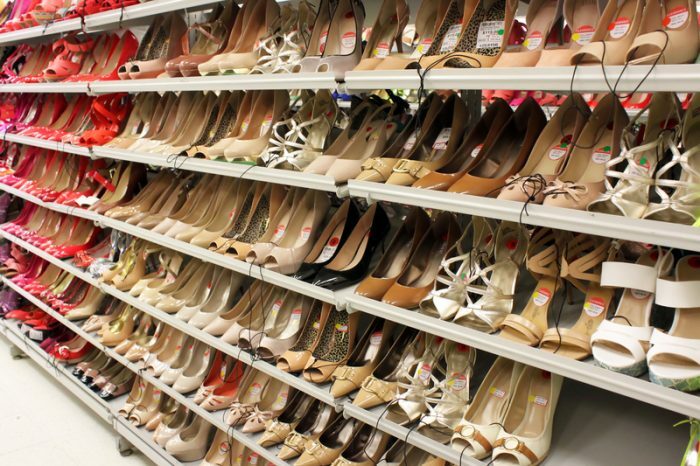 When shopping for shoes, put fit ahead of style. It may sound simplistic, but consider that proper shoe fitting will help you avoid a litany of foot and toe issues. One of your feet may be larger than the other. Both of them change size during the day. And your feet will get bigger with age. Want to know how to handle those and related problems? Here are the answers to 10 frequently asked questions about shoe fitting. 1. What size do I ask for? You don’t have to know your exact shoe size. Know your approximate size based on shoes you already own, then look for fit and comfort. Each shoe manufacturer has its own shoe size standards. A size 9 shoe made by one company may be bigger or smaller than the same size in another brand. Trust your comfort level, not the size of a shoe. Consider tracing an outline of your foot and placing a shoe that you’re considering on top of the outline. If they don’t match, don’t try them on. 2. When during the day should I shop for shoes? Your feet naturally swell a bit as the day wears on. 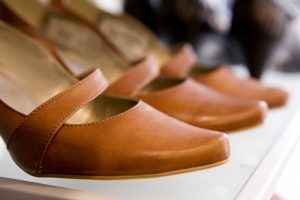 Shoes that feel comfortable in the morning might feel tight in the afternoon or evening. So better to buy shoes later in the day. 3. How often should I get my feet measured? During middle-age years and beyond, it’s a good idea to get your feet re-measured every year. As we age, our feet tend to get slightly larger and wider—as you’ve likely noticed. If you shop for shoes online, ask about the return policy. Many companies are offering lenient terms and even encouraging customers to buy two pairs (with different sizes) to see which is better. Make sure the seller will pay for return shipping. 4. What if one foot is larger than the other? It’s more common than you might think. So if one of your feet is bigger than the other, the answer should be intuitive: Buy shoes that fit the larger foot. You can make up for the extra space in the smaller foot with an insert or two pairs of socks. 5. How can I tell whether my shoes are long enough? Leave room for your feet to shift forward in your shoes as you walk. There should about a half-inch between your longest (not your biggest) toe and the toe of the shoe. Heels should fit snugly without pinching. 6. How can I tell whether my shoes are wide enough? Shoes should be wide enough so that the widest part of your foot (the ball of the foot) is comfortable. They should also provide a comfortable degree of arch support. When trying on shoes, wear the same type of socks you normally use. 7. If a shoe is too narrow, should I go up a size? Not necessarily. Look for shoes that are wider, not longer. For men’s shoes, a narrow width is a B; a wide width is E. The average man wears a width-size D.
Women’s widths range from 4A (extra narrow) to 2E (extra wide). The average shoe width for women is B. Shoes shouldn’t have any space for your foot to move from side to side. You want “comfortably snug”—not too tight or too loose. If you’re still having a shoe size problem, try another brand instead of another size. 8. How long does it take to break in a pair of shoes? No time at all. Shoes should feel comfortable the first time you put them on. 9. How can I test new shoes without buying them? Walk around the store on at least two different surfaces (carpet and hard floor, for example) to get a good feel. Take them off, put them on again, and take another lap. A test drive or two will make your decision easier. 10. What style of shoe should I avoid? This one’s easy. Avoid shoes that are pointed because they crowd the toes. Women should avoid high heels (except on special occasions) because they put too much pressure on the forefoot. Long-term use of high heels can lead to backaches, knee pain, and sprained ankles. Paying attention to shoe fitting is about more than style and even comfort. It’s about potential foot and toe-related problems that send 7 million Americans to the doctor every year. Look for value, quality, and a good fit. You can get all three in one pair of shoes. heel pain, knee pain, pain, pain in heel of foot, shoe fitting.